Clients from all over Australia trust Brice Australia with their entry and exit and barrier control systems because their industry experience makes them the most knowledgeable and professional. At Brice Australia, they understand that every business operates differently, and they will optimise a personal electronic eGate system to work best for your exact needs. Functionality and durability are two of the main benefits you will experience when buying your access control system from Brice Australia, the Melbourne based electronic eGate system specialists. The smart, cutting-edge technology used in the electronic eGate systems supplied by Brice Australia, offers endless opportunities to create the most efficient shopping experience for any volume of customers. Your investment will be very worthwhile if you shop for your electronic eGate system at Brice Australia. Of course, when you are looking for an expert Melbourne supplier of electronic eGate systems to customise the perfect access control system for your Melbourne venue, you want to feel confident that you’re equipping your business with leading, high-quality technology. 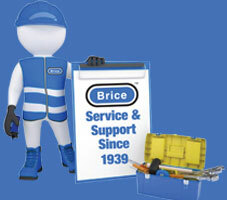 Brice Australia can be relied upon to provide all this and more. To get the most out of your new electronic eGate system in Melbourne, choose the best supplier to support your purchase, installation and maintenance; choose Brice Australia. Call 1300 664 880.